Woodhead Improve repaired and modernised 224 tenanted council homes for Nottingham City Homes as part of their Decent Homes Refurbishment Scheme. Multi activity reactive and planned backlog repairs and maintenance including damp proofing, gutter clearing, chimney stack repairs, ventilation works, plastering, plumbing and bathroom upgrades, tile replacements, external works, roofing repairs and other general building works to tenanted domestic properties across the City of Nottingham, which were required to be kept operational by working closely with tenants. What is the decent homes refurbishment scheme? Nottingham City Homes are a key component in the city’s infrastructure, taking a major role in building communities where people can thrive and feel they belong, now and in the future. Robert Woodhead Ltd are contracted to carry out repairs and major repairs on this scheme, helping NCH achieve their vision. We worked very closely with the clients RLO, Clair Marshal to make this project a success. We held weekly management meetings with the RLO and they would also attend the full project team meetings on a monthly basis. Our approach was to keep the RLO informed but resolve any issues as they arose before escalating to the RLO. Effective working between the RLO and ourselves helped safeguard the residents and our operatives and get the work done on programme. For example we were able to build tenant profiles and hand pick the workforce based on the residents traits. One particular example is pairing local workers from the estate with a resident with anxiety issues. The operatives knew the resident and was able to complete the works successfully. The front of one property, home to a retired serviceman, had suffered from damp and rotting as a result of prolonged exposure to the harsh elements over the years. This was then surveyed within a day. Woodhead returned the following week to completely remove the effected panelling, and transform the front of the house. This was a complex refurbishment, as the affected panels were adjacent to the bathroom, so each day the toilet (which was connected to the panels) had to be taken out, and then re-fitted to ensure the tenant was not left without bathroom facilities. 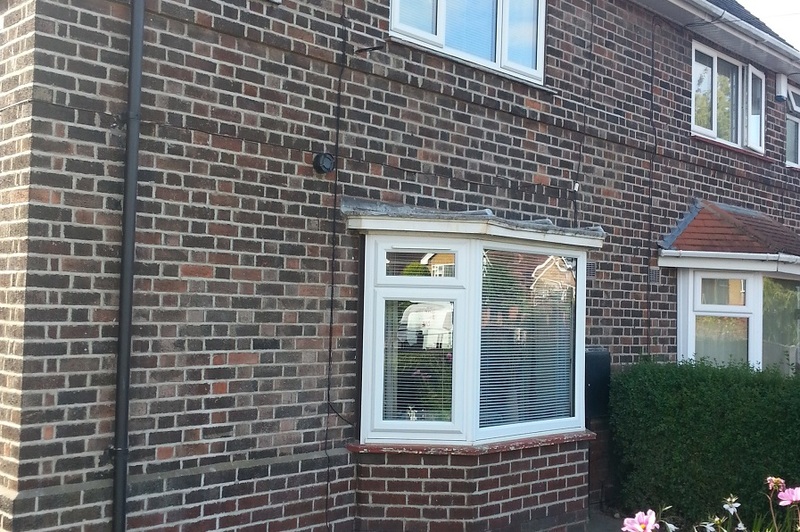 This refurbishment project took 5 days to complete.